It's a place like hundreds of others, nothing special, really. But for four friends**—all born and raised in this small Wisconsin town—**it is home. And now they are men, coming into their own or struggling to do so. Now all four are brought together for a wedding. Little Wing seems even smaller than before. While lifelong bonds are still strong, there are stresses**—**among the friends, between husbands and wives. There will be heartbreak, but there will also be hope, healing, even heroism as these memorable people learn the true meaning of adult friendship and love. Seldom has the American heartland been so richly and accurately portrayed. Though the town may have changed, the one thing that hasn't is the beauty of the Wisconsin farmland, the lure of which, in Nickolas Butler's hands, emerges as a vibrant character in the story. 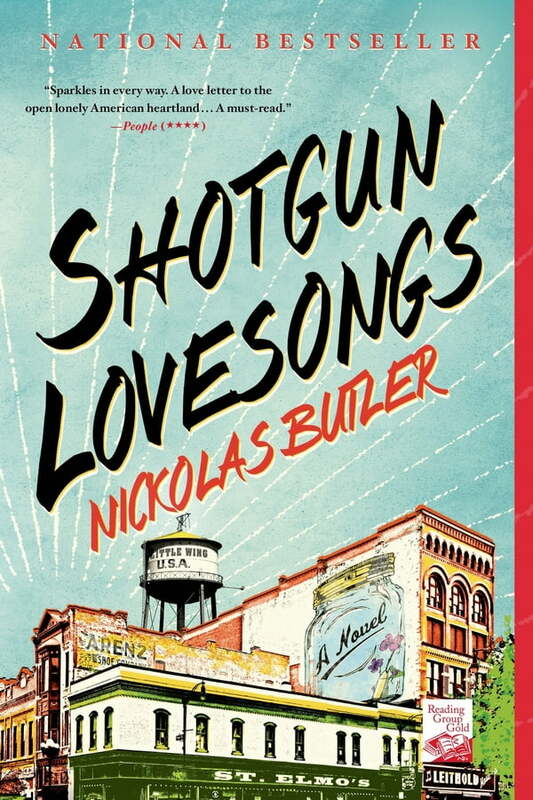 Shotgun Lovesongs is that rare work of fiction that evokes a specific time and place yet movingly describes the universal human condition. It is, in short, a truly remarkable book**—**a novel that once read will never be forgotten.